Wishing you and your loved ones a very Happy Nowrouz. 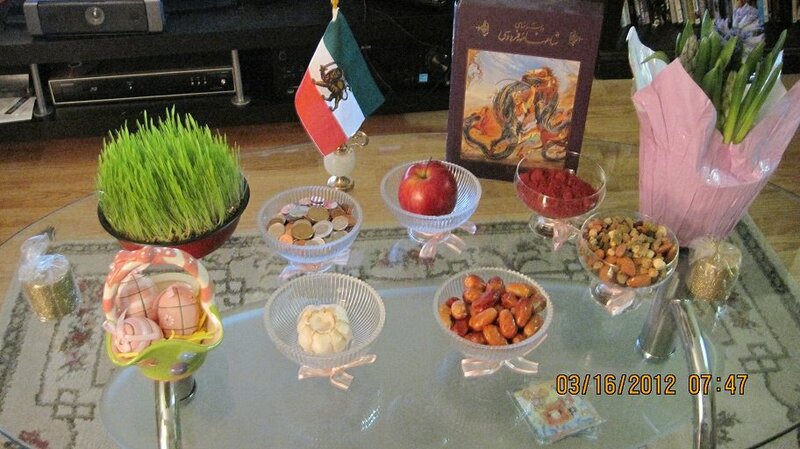 I hope this will be the year of the overthrow of the Islamic Regime in Iran and Iranians will be able to celebrate Nowrouz in a free, secular and democratic Iran next year. On this happy occasion please keep in your thoughts and hearts political prisoners, their families and the families of those who have lost a loved one at the hands of the Islamic Regime. In hopes of a day not very far, when Iran will no longer have any political prisoners. Wishing everyone a joyous season full of love, laughter and happiness. Today Iranians celebrate Chahar Shanbe Soori also known as the Fire Festival where bonfires are lit and people jump over the fire in hopes of happiness in the new year to come. 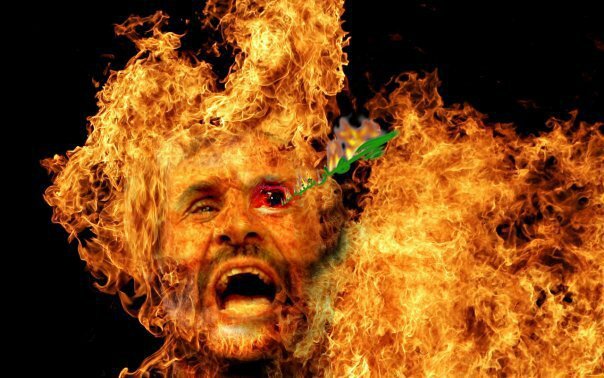 The Islamic Regime has always tried to stop Iranians from celebrating this festival and especially from lighting bonfires, but according to news coming from inside Iran, young Iranians have taken to the streets of Tehran lighting bonfires, celebrating and turning the celebrations into a fight against the Islamic Regime, by chanting "death to dictator and death to Khamenei." Let's celebrate Chahar Shanbe Soori wherever we are, and let our joy and happiness be a slap in the face to the Islamic Regime in Iran. Wishing everyone a happy Chahar Shanbe Soori and a very happy new year to come. Today we celebrate women (past and present) who have taken an active role in the fight for freedom and equality for women. While the women’s movement has come a very long way over the past 120 years, there are still many countries in which women live under poverty and oppression. 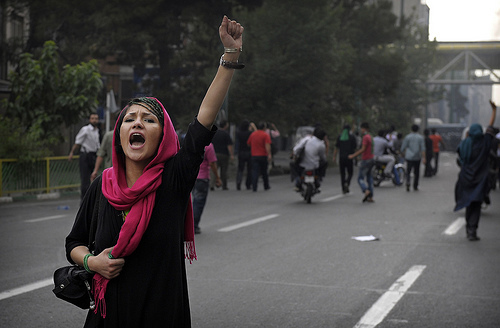 Iran is one of the countries where women do not have even the most basic rights. While some activists choose to focus solely on the women’s rights issues in Iran, the reality is that women’s rights and freedoms can never be realized under the current Islamic dictatorship. The broader fight must be a political fight against the entirety of the Islamic Regime, as only when the regime is overthrown can women have the rights and freedoms they are entitled to. Today I honour all Iranian women, especially those who are inside Iran, fighting on the very front lines to bring down the Islamic Regime. While today we honour and celebrate women I also want to celebrate and honour men who stand side by side with female activists and share the struggle for freedom and democracy in Iran. Yesterday I attended a Woman’s Day event organized by Green Seculars Toronto branch at the North York Centre in Toronto. The event was very well organized and I was especially impressed with the presence of the Lion and Sun Flag and the singing of the “Ey Iran” anthem. What was also wonderful about this event was the fact that many of the individuals involved in organizing the program were women. During the event a number of women including myself were given a “recognition award” for our work in the fields of human rights, politics, arts and social issues. Other noteworthy women who received an award included Ms. Homan Arjomand, Ms. Mina Ahadi, Ms. Parvaneh Radmeh and Ms. Hengameh Afshar. I was proud to be the youngest female among these well known and distinguished activists. The event was concluded with a speech by Ms. Hengameh Afshar. I hope to see other similarly well organized events in the near future and wish to thank everyone who was involved in organizing this event. Also a big thanks to Faramarz Shiravand for taking these wonderful pictures.